Embark on a drive along the Indus River into Rupshu Valley early in the morning. 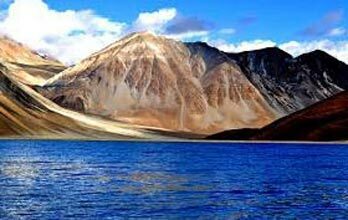 Tsomoriri Lake is about 220 kilometers from Leh and is located in an altitude of 4200 meter. The lake is famous worldwide for its picturesque beauty. While proceeding towards Tsomoriri Lake, visit the Chumathang Hot Springs and cross the Mahe Bridge. If you are lucky you can also see Himalayan marmots on the way. By late noon reach Tsomoriri Lake; upon arrival, check in at the tented camp near the lake. Later, visit the lake shores which is famous as a designated Ramsar wetland sanctuaries. It is a popular breeding and nestling area for thousands of migratory birds that include Brahimini Duck, Bar Headed Goose, Black Naked Cranes etc.Overnight at the camp. 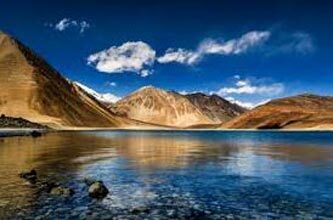 After a refreshing morning breakfast, drive to Leh via Tsokar Lake route. On the way, visit the Puga Geo-thermal Gas Springs and Nomadic Rebo tents at Polo- Kongka Pass. After crossing the pass, stop by Tsokar Lake for a photo stop. If you wish to, you can also visit the monastery of tiny Thukje village. Upon reaching Manali highway, cross the Tanglangla Pass which is located in an altitude of 5350 meter. By the evening, reach Stok and check in at hotel. Early morning drive to Nubra Valley via Khardungla Pass which is situated around 18360 ft above the sea level. It is the highest motorable pass in the world. By the afternoon reach Nubra Valley; upon reaching Nubra Valley check in at hotel/camp. 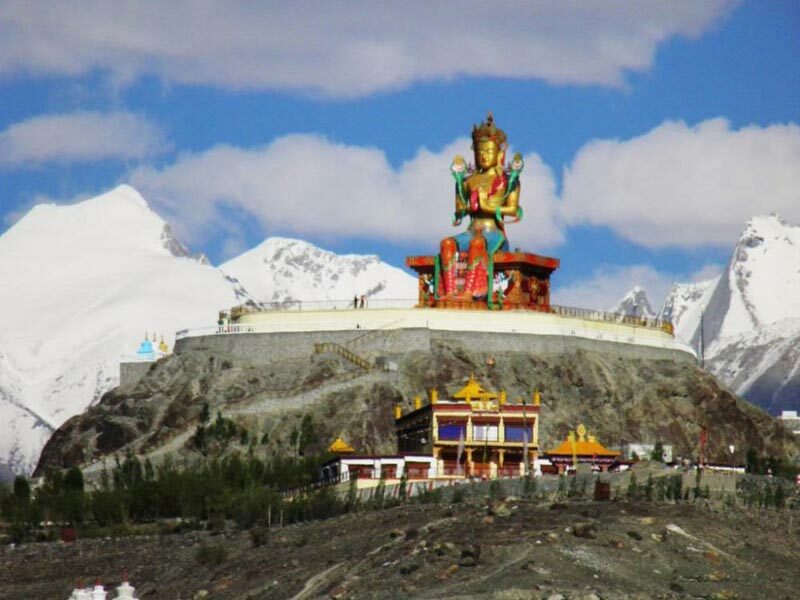 After some leisure, set out to visit white Sand Dunes, Double humped Camels, Diskit Monastery and also visit the 100 ft tall Maitreya Buddha statue.Overnight at hotel/camp. 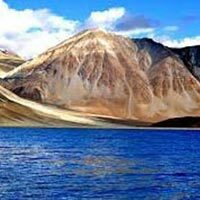 Wake up early in the morning to witness the mesmerizing beauty of Pangong Lake under the fresh morning rays. Post breakfast set off for a drive back Leh. You will reach Leh by the afternoon; you can spend the rest of the time in the local markets of the city.Overnight at hotel. (Departure)Today, you will be transferred to the airport for your onward journey.